The AEX Index closed 0.6% lower at 531.1 points. The Paris, London and Frankfurt stock exchanges ended 0.9% to 1%. Investors are getting a stream of business results this week, including ABN Amro, Aegon and chemical companies DSM and Akzo Nobel. The better-than-expected earnings season has caused sentiment since the beginning of the year. Further attention will focus on further China-US negotiations held this week in Beijing. Earlier, the two economic powers still agreed to conclude a trade deal before March 1, but last week it was announced that this date would not take place. Cees Smit, from today's property manager, was a little surprised by the mood created. "I do not see a direct reason for optimism, you would expect more caution, so this morning came the news that sales during the Chinese New Year were disappointing," Smit said. He noted that the Chinese festival sales this year "only" increased by 8.5% compared to a year ago. It was given the lowest growth since 2005. Last year there was growth of 10.2%. Smit mainly expected the news about trade negotiations. "If it does not work out, then all the optimism is free." In Asia, Japan's stock market closed on Monday due to a public holiday. On Wall Street, the Dow Jones Industrial Average fell 0.2% at the European slot. 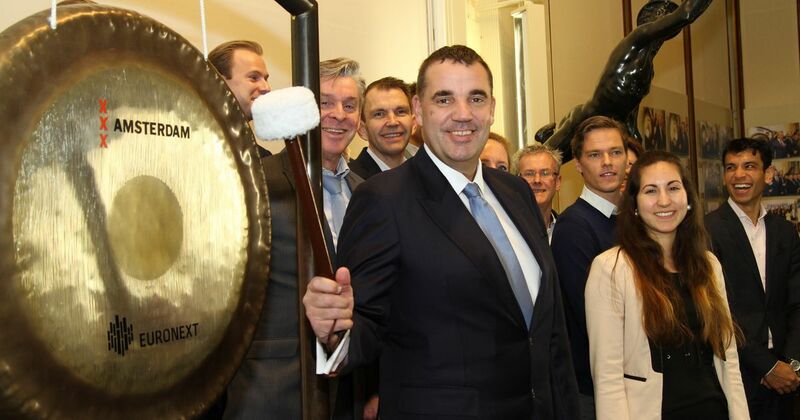 insurer Agon Went to the top of Damrak with a gain of 2.3%. for ABN AMRO Investors recorded an increase of 1.7%. "These are shares that are a little lagging in the stock market," Smith says. Retail investor Unibail Saw price increases by 1.4%, compared to the fourth consecutive quarter. Steel concern Arcelor Was the last group in the AEX index with a loss of 1.1%. Real estate fund led by medium-sized funds Wereldhave With a plus of 5.7%. This means that the stock almost recovered beating Friday in response to disappointing quarterly data. Boscalis Close 0.7% higher. Dardger and the marine services provider sold its stake in Sam Smith for $ 201 million. Good price, according to KBC Securities. Flash Trader Flow Traders Another 1.3% remained after the thumping last weekend in response to poor results. Local fund Euronext Rose 0.1%. The stock exchange operator increased the takeover offer to his Norwegian counterpart Oslo Burs. The Euronext conversion now offers approximately € 690 million, against an earlier bid of approximately € 625 million. Ajax Dropped 4.8% after a disappointing loss of 0-1 against Heracles. More financial news every day with @mail? Sign up for our newsletter here! Every morning the latest financial news in your inbox? Invalid email address. Fill in again.